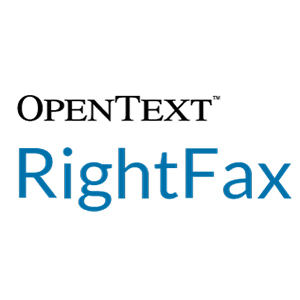 OpenText™ RightFax is a centralised fax server solution that provides the best foundational platform for secure faxing capabilities across an entire organisation. As the most powerful fax server in the industry, organisations leverage RightFax to build a robust communication ecosystem that is integrated and automated to reduce risk, enable compliance, and accelerated time to revenue. RightFax integrates fax with email, desktop, and document management applications, and enables high-volume, automated fax delivery from CRM, ERP, ECM, vertical and other host applications. When you need to integrate fax with applications that control your business processes, RightFax is the fax server that accelerates the speed at which you do business. http://www.opentext.com/what-we-do/products/business-network/fax-solutions/rightfax Accelerate your digital transformation with the most powerful and trusted fax server in the industry. Build a robust digital fax communication ecosystem that is integrated and automated to reduce risk, enable compliance, and accelerated time to revenue. Automated, secure information exchange provides the business agility needed not only to respond and react to change but also to propel past your competition. RightFax, the market-leading network fax server solution, automates time-intensive manual paper-driven processes by integrating them into your business applications and systems, saving you time and money by redefining and modernising fax and secure information exchange within your company. Quickly impact your ROI by streamlining document workflows and fax-dependent processes to reduce costs and increase productivity.